For any sofa type and against any nasty or stubborn spot, do not hesitate to use the top-notched and hassle-free steam sofa cleaning service. To get more information about us and our reliable services, contact our customer support representatives on mandatory. They are available for you! Dial this phone number 020 3404 5300 and your question or make your order right away! The innovative steam sofa cleaning service in London represents a procedure with zero risk or harmful impact on the furniture, but maximum effect against oily, blood, coffee, grass, ink, urine and other types of similar and repulsive stains. Thanks to the great job the diligent experts are performing during each individual visitation, we promise great final outcome at a reasonable price. The hard-working cleaners are experienced, customer-friendly and skilful. They are well-trained and educated and they are are equipped with everything necessary for the procedure. You do not have to provide us anything. And we also offer furniture moving for better access. Just rely on the kind professionals and in return you will receive contemporary attendance at low-cost price! Plus – we provide free tip too! Sofa Clean London approaches any customer individually to provide personal attitude and to reach perfect cleaning results with the furniture. The affordable steam sofa cleaning service begins with preliminary inspection of the sofa. We accept all types of sofas: stools, chairs, seats, armchairs, dining chairs, divans and etc. 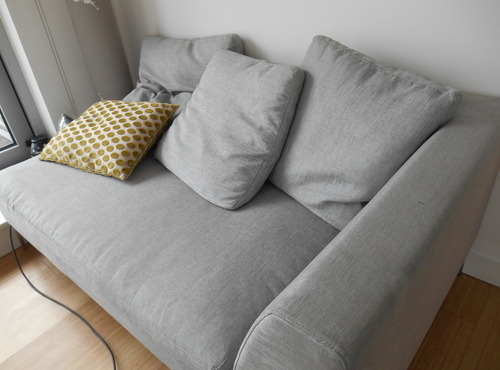 Once we evaluate the material type of the sofa, we prescribe the right formula for the steam sofa cleaning. In general, our trustworthy service in London is suitable for synthetic and manufactured materials. We also recommend it for old sofas and stubborn stains. We apply hot water into the machine or pours cold and waits for the water to reach high enough temperature to produce steam. The professional sofa machine injects hot steam in the carpet and extracts it afterward. The noise that it makes is much louder than a vacuum cleaner. The sofas takes around 3h to dry. They will dry faster if they open a window. Why using our top rated cleaning company in London? We are not just another company with the latest equipment. We provide the right direction for the entire market by using the newest and the most innovative methods and stain remedies in the industry. We have decent and insured cleaning teams and we never leave a property with unfinished job. 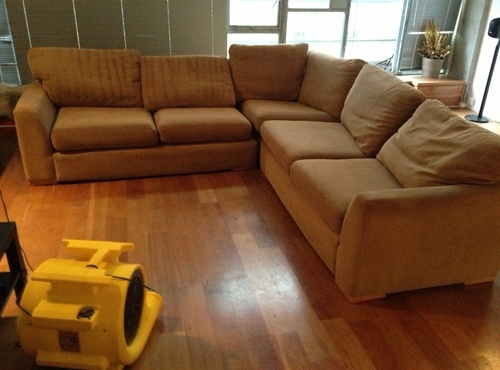 Choose our accessible steam sofa cleaning company London around the whole year, weekends and bank holidays included. What are you still waiting for? Make an easy reservation for our efficient cleaning service for sofas. Don`t hesitate, but let the well-trained experts London do their job and make your furniture revived, bright and shiny again! Make an order via the online direct form or simply give us a call on 020 3404 5300! 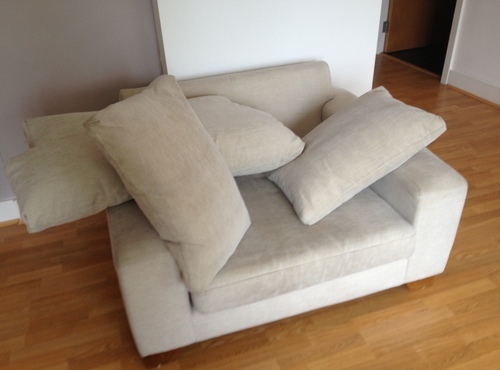 Sofa Clean London has been professionally cleaning sofas for Greater London businesses and residents for more than a decade. You can expect the utmost courtesy, timeliness and efficiency from each of our London sofa cleaners, and we guarantee the best results in the industry. Company Name - Sofa Clean London Ltd.